The ends of the back slats must be cut at a compound angle—both mitered and beveled—so they sit flush against the legs of the tree bench. To mark the slats, set a 6%-inch-wide spacer on edge on the first seat slat and place the back slat blank on the spacer. Holding the slat flat against two adjoining legs, run a pencil along the inside face of the each leg to mark cutting lines on the face of the slat (above). 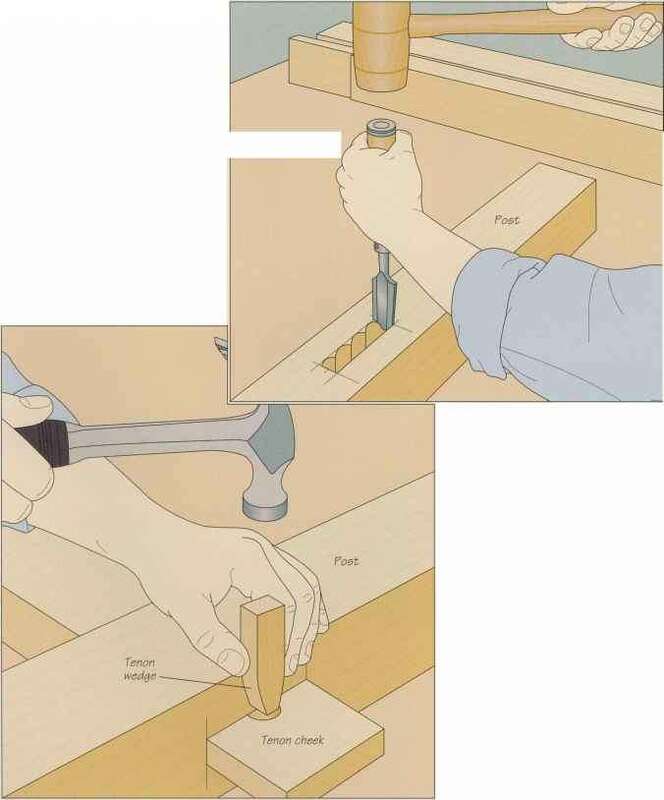 To cut the compound angle on your table saw, angle the blade to 60° and adjust the miter gauge to the angle marked on the slat (photo, page 72). Use the slat as a guide to trimming the others in the bottom tier.